The biopic on Prime Minister Narendra Modi – which was set to hit the screens on April 11 next – has been stalled by the Election Commission (EC) on Wednesday. The biopic was all set to hit the screens during the election period – the first phase of the seven-phase elections in India will start on April 11 next. “Though the display materials claim to be a part of creative content, it is contended that these have propensity and potentiality to affect the level playing field which is not in consonance with the provisions of the model code of conduct,” the poll panel said. In case of any violation or receipt of complaints in this regard, the EC has formed a committee which will examine the said violation and suggest an appropriate action. The committee shall be headed by a retired Justice of the Supreme Court or a retired Justice of any high court. The panel also added that it has so far received complaints about the following flicks – NTR Laxmi, PM Narendra Modi and Udyama Simham. The EC has written to the I&B ministry as well as the Central Board of Film Certification (CBFC) that a committee headed by retired judge of Supreme Court or Chief Justice of high court will henceforth vet all political electronic content (films included) for model code violation. The EC move has come a day after the Supreme Court refused to stay the release of the Modi biopic. The apex court put the ball in the EC court saying that the latter is the appropriate forum to decide whether the production tilts electoral balance in favour of any party. The Bombay High Court had also disposed of a plea seeking deferment of the biopic’s release, saying the EC will deal with the issue. 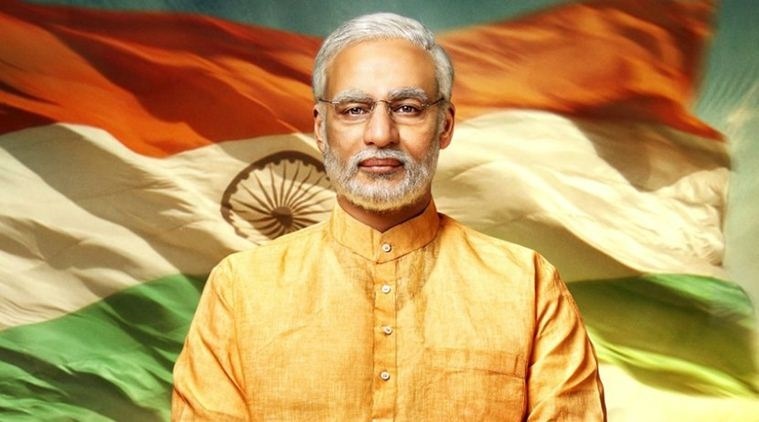 The Indore bench of the Madhya Pradesh High Court had earlier rejected a plea seeking a ban on the release of the Modi biopic. Earlier in the day, the biopic was issued a ‘U’ certificate by the CBFC. Titled PM Narendra Modi, Bollywood actor Vivek Oberoi plays the lead role of Narendra Modi in the film.